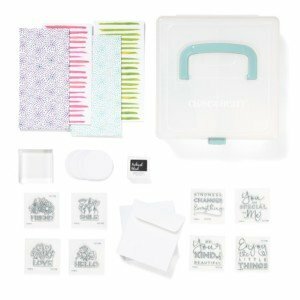 In honor of National Stamping Month, Close To My Heart has a special Scrapbooking Kit called Memories in the Making. The Memories in the Making layout kit makes it easy to create a set of 13 coordinating layouts that look beautiful on a calendar or in a scrapbook album. With pre-cut pieces, die cuts, and stickers, these layouts come together quickly so you can get back to making more memories. To get your own Memories in the Making Kit, visit my ONLINE CTMH STORE. 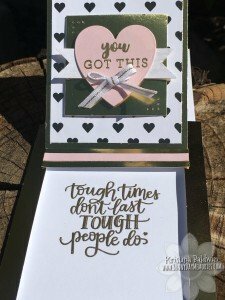 September is National Stamping Month and Close To My Heart has a wonderful exclusive calendar kit (perfect to keep for yourself or for holiday gift giving!) as well as 2 stamp sets only available this month. Watch this short video to learn more and then be sure to share the video within 24 hours for your chance to receive both stamp sets that Monica shows in the video for FREE! 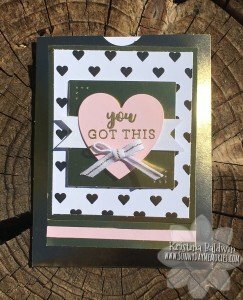 Since it is the final few days to order Close To My Heart’s From the Heart Slider Card Kit, I thought I’d share another sample card I created with this kit. 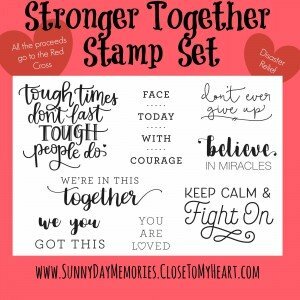 This time I used the newly released Stronger Together Stamp Set that helps support disaster relief; all proceeds from this stamp set go directly to the Red Cross. To tie the sentiments into the beautiful gold foil slider card bases, I decided to wet emboss both the outside sentiment and inside sentiment in gold, too. I added in a splash of our Color of the Year–Bashful–but otherwise kept it all to the gold foil and white color palette. 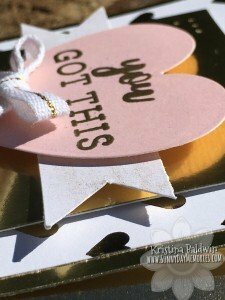 I even used our Gold Shimmer Brush to add sparkle to the White Daisy Pennant Banner behind the heart. So super quick and easy! To purchase these and other CTMH products, please visit my ONLINE CTMH STORE. 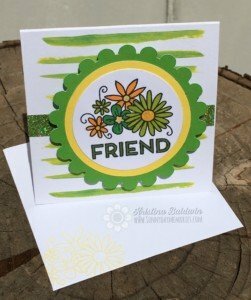 September is National Stamping Month and Close To My Heart is celebrating by offering a gorgeous Slider Card Kit. 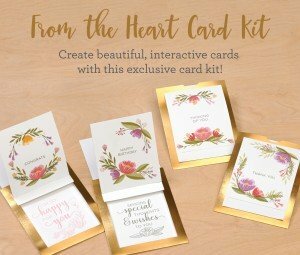 The From the Heart Card Kit includes the supplies to create 12 fabulous interactive cards. Plus, when you purchase the kit, you save 20% off the retail price! 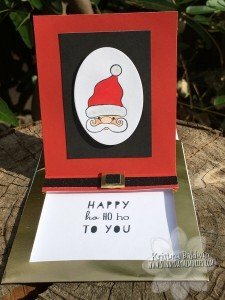 Want more card bases? 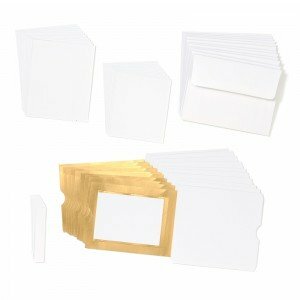 No problem, you can order separate card bases and envelopes to make even more beautiful cards! Or maybe you just want the amazing stamp set perfect for beautiful layered looks? You can purchase the From the Heart Stamp Set separately as well. You’ll be amazed at the detail you can achieve with the layering process of this stamp set. It is quite striking and professional looking when you finish! 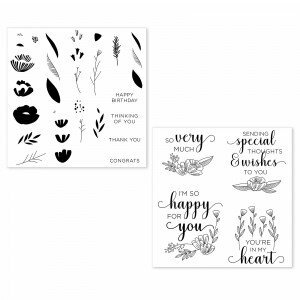 For more details on the From the Heart National Stamping Month promotion or to purchase them before they’re gone, please visit my ONLINE CTMH STORE. 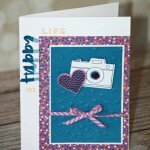 Did you celebrate National Stamping Day by stamping up some beautiful creations? 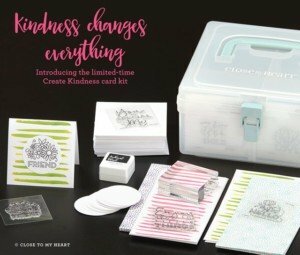 Perhaps you used Close To My Heart’s adorable Create Kindness Kit they are offering this month only. 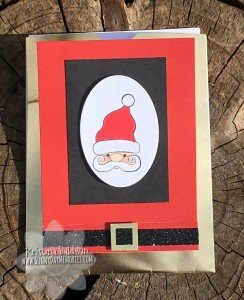 These are the latest cards I created with the kit. I added in Shimmer Trim–the perfect complement for sure! Don’t forget–you can create any color Shimmer Trim by taking your Shin Han Alcohol Marker and coloring in our White Shimmer Trim. Such a versatile trick! 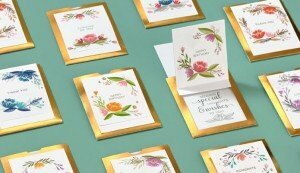 Plus, I also used our *NEW* Cricut Flower Market Collection to cut out the scalloped flower images. 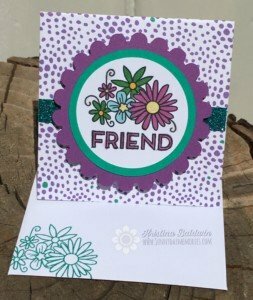 It pairs so nicely with the flowers in the stamped image! And don’t forget to add a special touch to your envelopes, too! 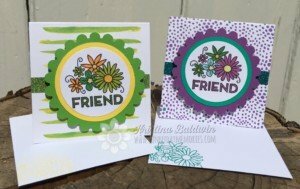 I used the same stamp image but only inked and stamped the flowers to decorate the corners of the envelopes. Cute, right? If you weren’t able to stamp today in celebration of National Stamping Day–no worries! National Stamping Month has 30 days; so you have 13 more days to celebrate. That also means you only have 13 more days to grab your very own Create Kindness Kit before it’s gone! Get your Create Kindness Kit by visiting MY ONLINE CTMH STORE. Did you know that September is National Stamping Month? 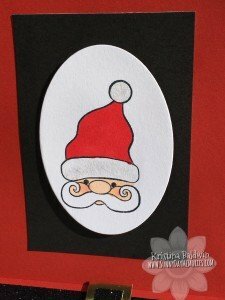 All month long you can celebrate by stamping beautiful creations. And if you really want to get into the spirit, you can celebrate on Saturday, September 17th–that’s National Stamping Day! You know what would be a great way to celebrate? You could snag one of the exclusive *NEW* kits CTMH designed specifically for this month! Can you believe there are only a few more days of National Stamping Month? October will be here next week! I can’t believe it. If you haven’t had a chance to get your hands on one (or all 3!) of CTMH’s exclusive National Stamping Month Stamp Sets–Hello, Life, don’t delay much longer. These stamps sets pair together so well. 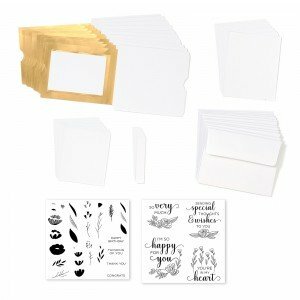 Even though they each were designed with a specific type of crafting in mind (cardmaking, scrapbooking and pocket scrapbooking) the images contained in each set are perfect complements to each other.